Inner Lives is about intimacy. It is an exploration of the relationship between the body and its visual and verbal representations. In a tripartite collection of artistic studies called Fleshmap (www.fleshmap.com), artists Martin Wattenberg and Fernanda Viégas consider the shape of human desire expressed though touching, looking and listening. Touch investigates the collective perception of erogenous zones. Hundreds of people were asked to rate how good it would feel to touch or be touched by a lover on different points of the body. Working with Brendan O'Connor at Dolores Labs to gather data via Amazon.com's Mechanical Turk site, tens of thousands of individual ratings were gathered and transformed into images that reveal a map of sensual desire with multiple focal points and islands of excitement. Look explores individuality and the hidden surprises that each body reveals when bared. Through a process of abstraction, the piece reveals the multiplicity of formal possibilities contained in a single body part. Contours from different individuals are presented in collections that expose both familiar and oft-overlooked patterns, confronting prototypical notions of ourselves. Listen investigates the relationship between language and the body. This study asks questions such as: Which parts of the anatomy appear most frequently in song lyrics? What would a poem look like, reduced only to its references to the flesh? To find the answers, verbal manifestations of human physicality in music, poetry, and religion are distilled into their basic elements. Martin Wattenberg is a computer scientist and artist. He is the founding manager IBM’s Visual Communication Lab in Cambridge Massachusetts (www.research.ibm.com/visual/), the goal of which is to develop new forms of visualization and explore how they can enable better collaboration. Prior to joining IBM, Wattenberg was the Director of Research and Development at SmartMoney.com, a joint venture of Dow Jones and Hearst. His work at SmartMoney included the groundbreaking Map of the Market. 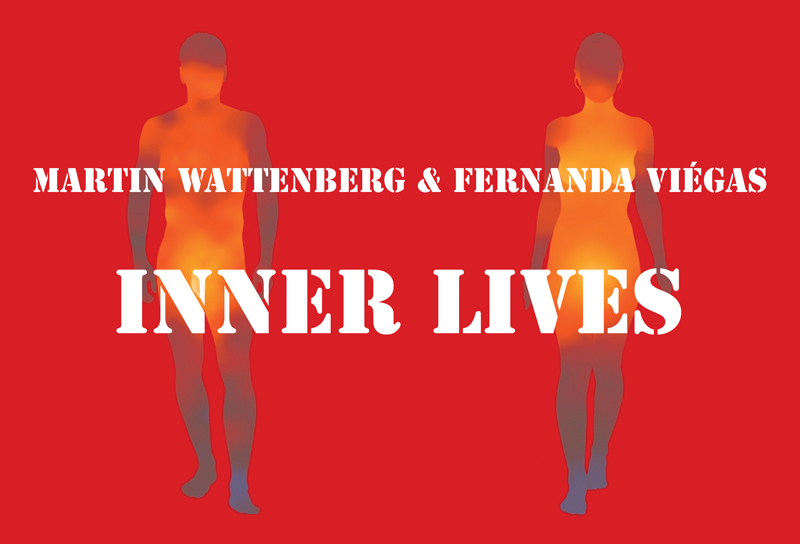 Wattenberg is known for his visualization-based artwork, which has been exhibited in venues such as the London Institute of Contemporary Arts, the Whitney Museum of American Art, and the New York Museum of Modern Art. Wattenberg holds a Ph.D. in mathematics from U.C. Berkeley. He may be reached at www.bewitched.com. Fernanda B. Viégas is a research scientist and computational designer at IBM’s Visual Communication Lab, whose work focuses on the social, collaborative, and artistic aspects of information visualization. Before joining IBM, Viégas’s research at the MIT Media Lab focused on the visualization of online communities. She is known for her pioneering work on depicting chat histories, email archives, and Wikipedia activity. Her artistic visualizations have been exhibited in venues such as the New York Museum of Modern Art, the Boston Institute of Contemporary Art, and the Whitney Museum of American Art. Viégas holds a Ph.D. and M.S. from the Media Lab at MIT. She may be reached at fernandaviegas.com.